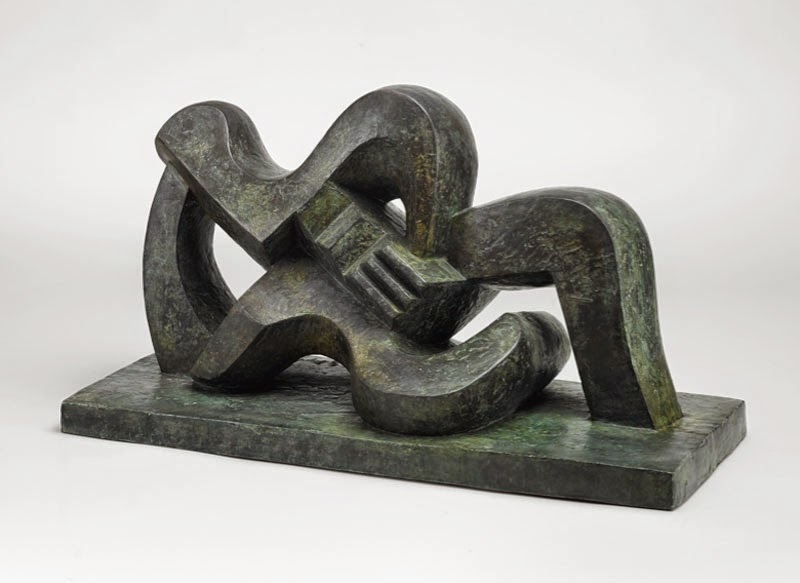 fans of modern art & sculpture will appreciate this beautiful modernist sculpture by jacques lipchitz perhaps most famous for his man with a guitar. 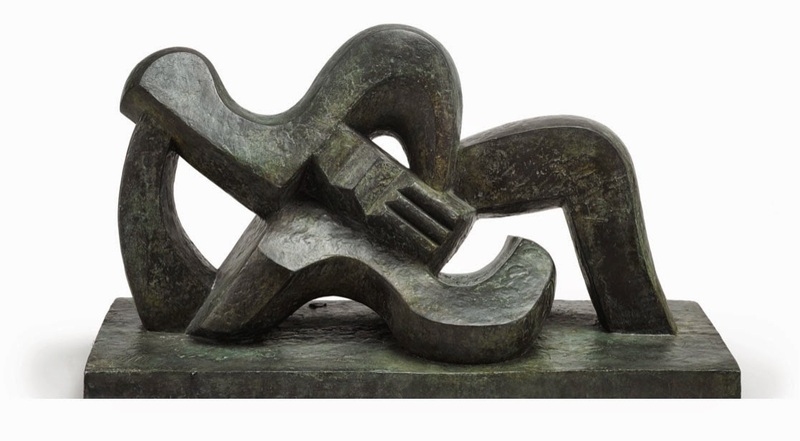 jacques lipchitz's (1891-1973) femme couchee a la guitare is coming up at auction at sotheby's new york with an estimate of $ 700,000 to $900,000. the lithuanian-born american modernist sculptor was in the vanguard in translating cubist and modernist pictorial motif and order into sculptural terms. femme couchée à la guitare was originally commissioned for the garden of la pradat, a home designed by the modernist architect le corbusier. originally executing it in black basalt and later in white stone, lipchitz invested this sculpture with an aesthetic that was harmonious with the outdoors and its avant-garde surroundings. the subject of the work is the traditional cubist theme of a figure with guitar, most famously employed by picasso. here lipchitz has reinterpreted this motif with an entirely fresh approach that incorporates light and negative space. lipchitz referred to this sculpture as a “transparent,” as its interstices and voids allowed for the surrounding space of the garden to become an integral part of the composition. 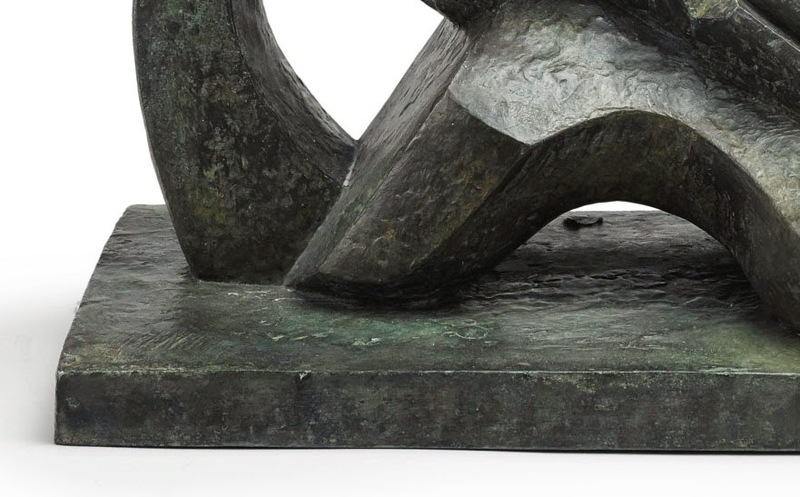 in his autobiography, lipchitz elaborated upon the spatial dynamics of the present work: “the subject is a reclining figure with a guitar; the curved shape of the right leg is also the shape of the guitar. this is again a total assimilation of the figure to the guitar-object; even the left arm reiterates the shape of the guitar. the work is massively conceived in curvilinear volumes, with a strong sense of frontality, but involving a movement in and out of depth. thus, the lower, or right, leg is composed at a diagonal directing the eye through the space below the left leg. similar planar diagonals under the head and the left arm emphasize the opening void. this sculpture is a development of the 1925 seated man (meditation), and is a transitional figure in the entire sequence of reclining, embracing groups of the next decade” (jacques lipchitz & hjorvadur harvard arnason, my life in sculpture, new york, 1972, p. 103). other casts of this work are inlcuded in the collections of the hirshhorn museum and sculpture garden, the smithsonian institute, washington dc and the tate gallery, london. image and partial text credits: sotheby's.